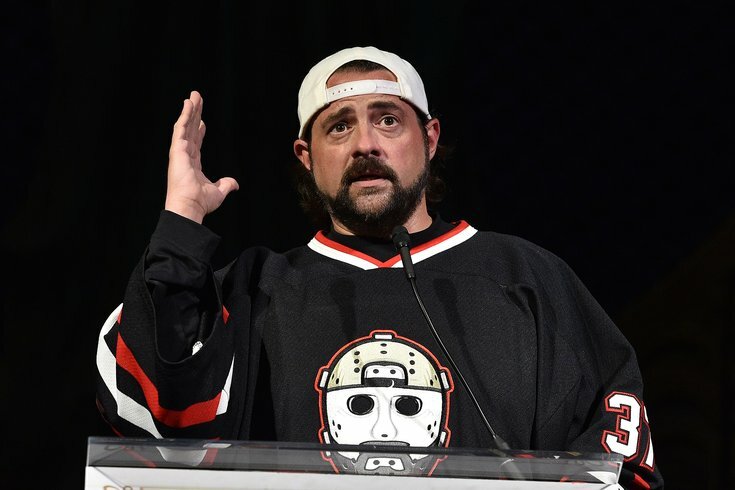 Kevin Smith speaks at the 2017 Television Industry Advocacy Awards. The buzz arrived instantly for Quentin Tarantino's ninth film, "Once Upon A Time in Hollywood," which packs an A-list cast and a reputation that precedes it, as the director's characters are fond of saying. A trailer released Wednesday promises Tarantino's signature mix of humor, history and cruel fate, as Leonardo DiCaprio and Brad Pitt collide with the Manson Family's murderous rampage at the home of Roman Polanski and his late wife, Sharon Tate, played by Margot Robbie. With so much star power invested in the film, it would be easy to miss out on a few of the finer details from the trailer. One of Tarantino's friends and admirers, director Kevin Smith, was too proud of a dad not to celebrate his daughter's brief appearance in the teaser. Harley Quinn Smith, who's developed her own budding reputation in the film world in recent years, will have a small role in the film. Smith and Tarantino both rose quickly to fame in the early 90s with their debut films, "Clerks" and "Pulp Fiction," respectively, which were both distributed by Miramax. In a Reddit AMA, Smith, a native of New Jersey, said Tarantino's "Reservoir Dogs" inspired his famous "Star Wars" reference because it was the first time he had seen pop culture references become part of the dialogue between characters in another piece of pop culture. Even if Harley Quinn's role in "Once Upon A Time in Hollywood" is minor, she'll also be making an appearance in her dad's "Jay and Silent Bob Reboot," which is expected to be out later this year.